A masterplan for the Bexar County Courthouse was established to help guide the county to restore and rehabilitate as much of the existing courthouse back to 1926 when the building tripped in size and many of its current courtrooms were built. 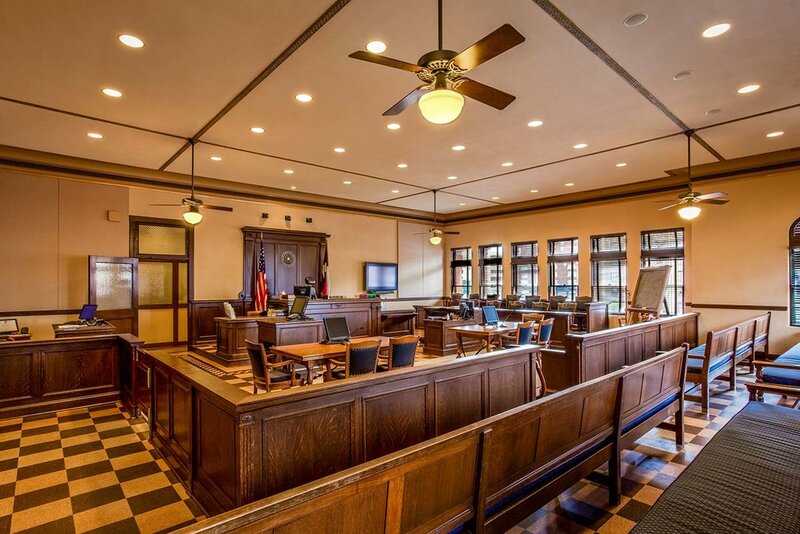 We were fortunate enough to be selected by the County to help with the rehabilitation of three historic courtrooms within the building. The scope of work included restoring the original cork flooring, plaster walls and decorative ceilings. 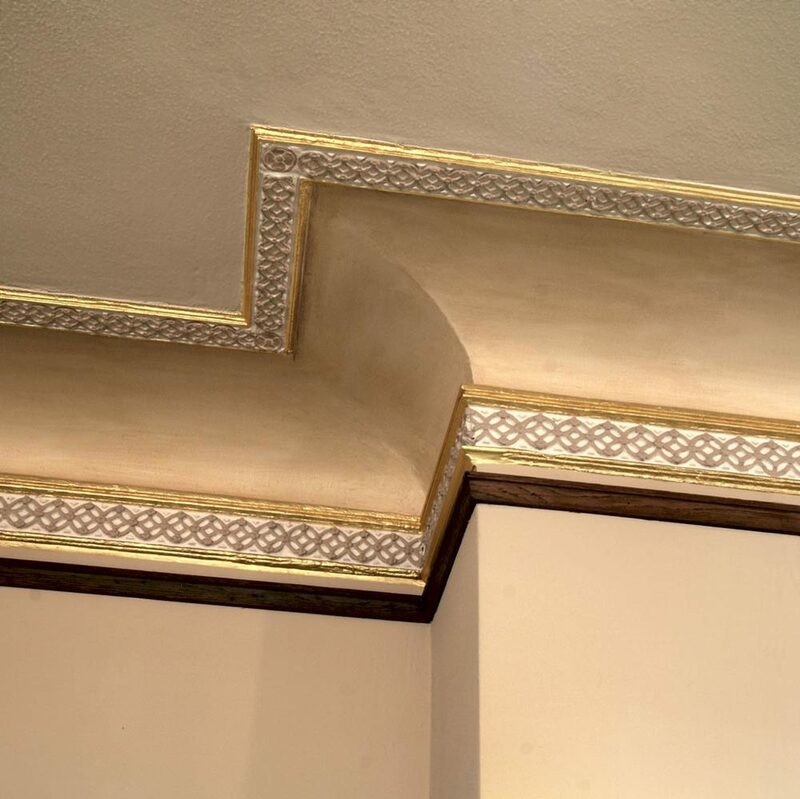 In addition, much of the existing historic millwork was carefully repaired and refinished. 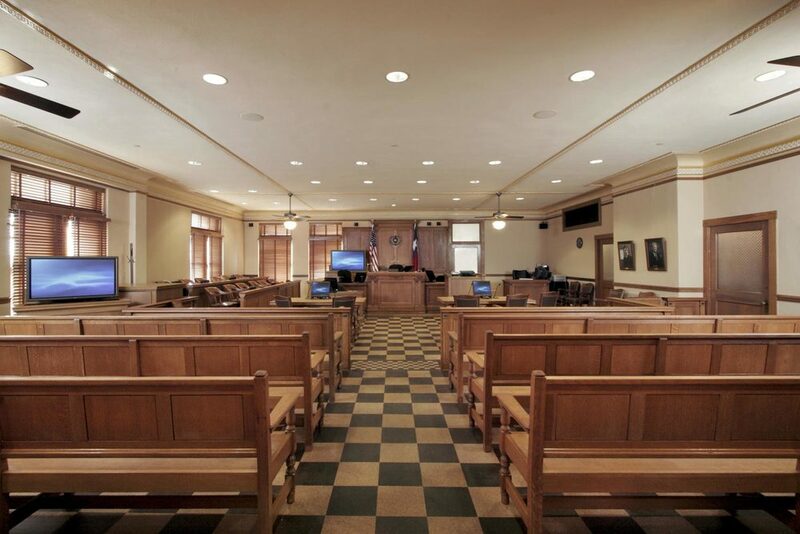 A state of the art Audio/Visual system was also carefully integrated into the historic fabric of the room, providing a standard for future courtroom renovations throughout the building. Mechanical and electrical systems were also upgraded and redesigned to be more efficient and quieter during operation. To aide with that effort, acoustical wall panels were seamlessly designed to blend into the walls without disrupting historical finishes.